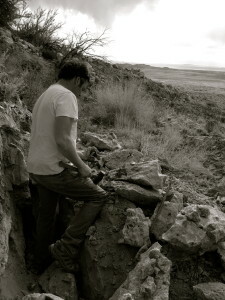 Like so many connoisseurs of minerals, my interest and passion started in my childhood, wandering the hills of New Mexico and Southwest Colorado in search of Agates, Crystals and Arrowheads. I thought I had made a major historical discovery when I found a fossilized joint bone in our driveway gravel. After college and some traveling, my passions were reignited by mining trips to Colorado, Arkansas, and Herkimer N.Y. Before I knew it I was in the rock and mineral business as Deep Earth Rocks. Established in 1998’ D.E.R., was driven by the philosophy of bringing specimens to our customers as direct from the source as possible. Over time our shop grew, as did our education and ability to discern the difference between nice specimens and specimens of exceptional quality. We began to search the world for these quality pieces. With a great staff and good mine-direct connections around the globe, we have developed a rotating collection of fine minerals for you, the refined collector.